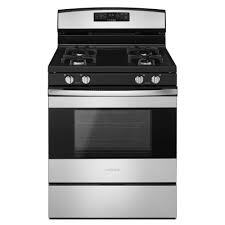 This gas range from Amana features a versatile 4-burner cooktop that provides up to 36,500 BTU of cooking output. 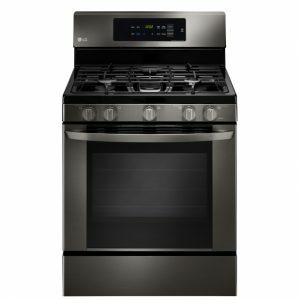 Cooking grates are dishwasher safe for easy cleaning, and sealed burners ensure that no spills leak beneath the cooktop. The 5.0 cu. 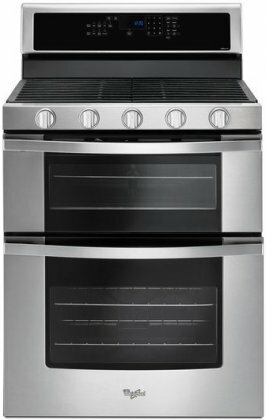 ft. oven features a 16,500 BTU hidden bake element, giving you the space and the power to prepare large, elaborate meals, whether you’re cooking for one or for several. Incandescent oven lighting ensures easy visibility. Bake Assist Temperatures take the guesswork out of cooking – just select a temperature, press start and let the oven do the rest. The Warm Hold function keeps the oven at 145°F to 190°F, so finished dishes are kept warmed to perfection until they’re ready to be served. 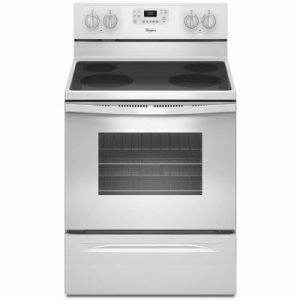 An Extra-Large Oven Window makes it easy to monitor your cooking progress, and the convenient storage drawer at the bottom of the range allows you to neatly organize your cookware and cooking accessories. 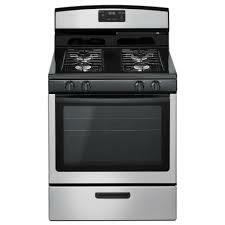 Our multiple burner options provide up to 12,500 BTUs, helping you cook your favorites all at once. Can’t serve dinner right away Warm Hold keeps the oven at 145°F to 190°F, so dishes like your baked chicken parmesan are still ready when you are. Don’t sweat the small spills. Sealed burners make cleanup easy by limiting spills from dripping beneath the cooktop.